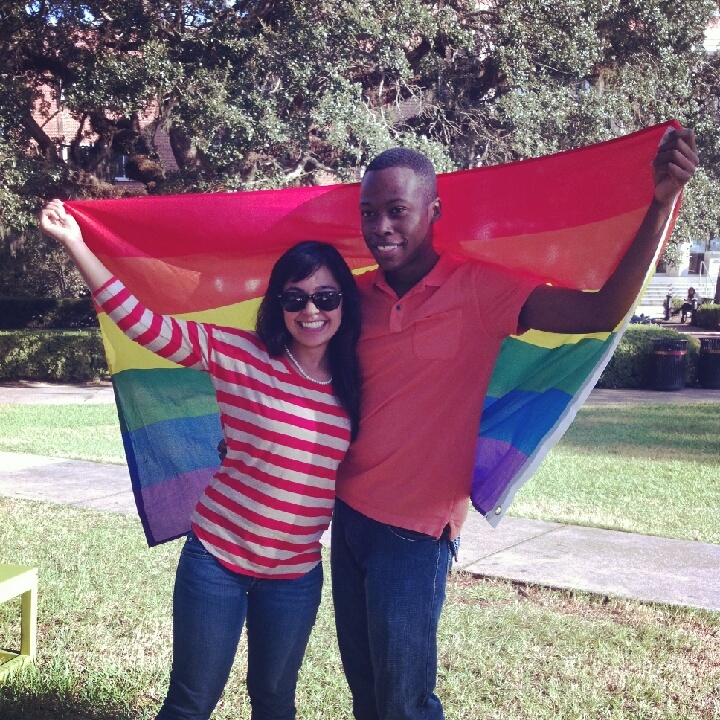 Today is National Coming Out Day and I am on the Pride Student Union Executive Board at FSU. It’s been hectic lately with editing videos, the week of events and with working on media on covering our Rainbow Door and March across campus. First, I have to say so much love today from a personal standpoint! I have some amazing friends – I thank you for stopping by and being there in spirit. I’m sorry I made some of you wait during that really hectic 30 minutes in which I was talking to the various media outlets! Y’all stopping by made my day and the experience. I feel so proud of the work today by the Pride Student Union executive board and myself as a part of that! Two years ago I never imagined myself chanting as a part of this cause and at the end I tried to keep us yelling until we made it back! 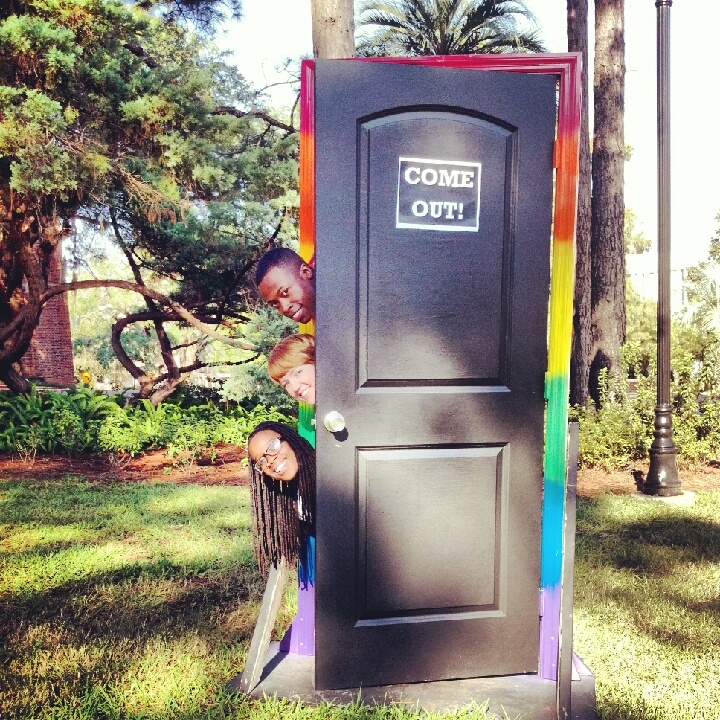 We’re a part of a “new era” with the Pride Student Union at FSU. Things will be rough at times and people may not always understand, but we’re working hard and taking things to a new level. From a professional perspective this felt pretty kickas*! That moment in which I just did three media interviews in like 20 minutes, still had a noon live broadcast and still had the reporters following us around for the march felt spectacular! We have a pretty amazing Pride community at FSU. I’m proud to be a part of a girl’s actual coming out today. We are all at different milestones in our coming out journey and that is okay! No matter where we are, we’re courageous and proud! Go at your own pace and know we’re always working to a better version of ourselves. It’s your journey – control how fast or slow it needs to go. Sometimes I think about being single and it can be sad for one minute. But then I remember, my own love is most important and I have love affairs with the people I connect with each day. That love from those people can be better than anything! I feel love. I feel love!